If you’re like me you are eagerly awaiting the boxing match Saturday between undefeated boxing champion Floyd Mayweather and UFC superstar Conor McGregor. Both parties have the opportunity to make a pretty penny from the event but how much? 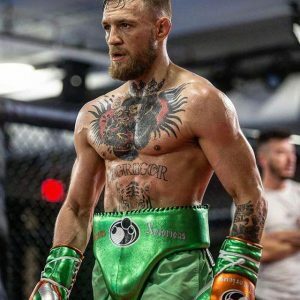 McGregor has been boasting about it for months that this single fight has given him the opportunity to double his net worth (or more) overnight. Is that true? What is Conor McGregor’s net worth and how much does he stand to gain from the upcoming fight? 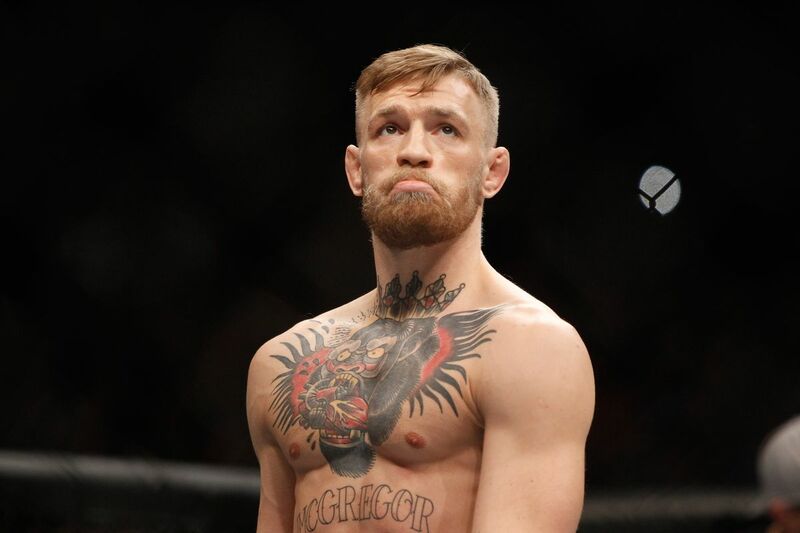 Conor McGregor is one of the most famous UFC fighters out there right now. That is because of two things: McGregor is a great fighter and he’s got an attitude to match. McGregor was born in Dublin, Ireland in 1988. His Irish heritage has been a huge part of his career and something he’s never been ashamed of. He and his long-time girlfriend, Dee Devlin, are huge celebrities in Ireland as well. In fact, there is even a mural of them on O’Connell Street. In 2007 McGregor got his start as an amateur fighter. Within a year he was fighting in the pro league and within another six he signed with the Ultimate Fighting Championship (UFC). Since signing with UFC, his career has exploded! The 29-year-old fighting champion has headlined four of the six highest-earning pay-per-view fights in UFC history. In fact, his fight with Nate Diaz has been recorded as the highest-earning PPV fight ever. Now he’s gearing up for the biggest fight of his career (and arguably the biggest fight in sporting history). On Saturday he’ll go head-to-head with Floyd “Money” Mayweather in a 12-round boxing match. It will be his highest paying gig yet. So, how will it impact Conor McGregor’s net worth? What is Conor McGregor’s Net Worth? Celebrity Net Worth estimates Conor McGregor’s net worth to be about $35 million (though some sources estimate it to be much higher). He earns tens of millions of dollars per fight and approximately $30 million per year. As previously stated, McGregor has been boasting about the amount of money he’s going to make for the Mayweather fight. In fact, he stands to double his net worth in one night. Sources say that he’ll make around $75 million (and up to $150 million) if he’s able to beat the undefeated Floyd Mayweather. Either way, McGregor will be making serious cash Saturday night and he’ll be able to line up bigger endorsement deals in the future (if he wins). No matter what the outcome is, Saturday’s fight is one of the most anticipated sporting events in history and McGregor will be remembered forever for it. If you liked this article you may also enjoy reading about Floyd Mayweather’s net worth approaching Saturday’s fight. Park Overall’s Net Worth is Surprising! IQ – the best binary options broker?